Due to its prime location, Durbanville is less than 30 kilometres away from Cape Town, which means that all of the Cape’s tourist attractions, amenities and facilities of this exciting hub are a short drive away. In addition, during the busy tourist season and times of special international events, when stays in Cape Town is less easily available, Durbanville is a fabulous alternative. The infrastructure here is outstanding, with all of the necessary malls, roads, public services, accommodation, and dining facilities on hand. Tyger Valley Centre is an enormous mall that promises hours of shopping glee, as well as a host of restaurants, coffee shops, and entertainment options. This is any shopaholic’s delight as stores range from major fashion chains to exclusive boutiques, and everything in-between. 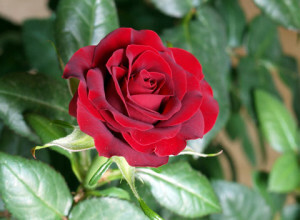 The Rose Garden (situated in Durban Road) boasts about 500 different rose species and 4 500 rose bushes. The scent of these colourful blooms transports visitors to a magical tranquillity as they amble around the bushes and learn more about these species. The garden is open to the public every day and is suitable for wheelchairs. The Durbanville Nature Reserve was established by the National Council of Women, and maintains the original goal to promote and protect the beautiful fynbos and endangered renosterbos of this area. Rare species found here include the Protea odorata Seruria brownii and Aristea lugens, the latter of which was once thought to be extinct. There is a herbarium, as well as lectures that promote an awareness of the history and import of this reserve. Rust en Vrede showcases the unique architecture of the mid-19th century. Situated in Wellington Street, the building is a combination of Cape Dutch, Victorian and Georgian design, making for a beautiful icon of yesteryear. Today, it is home to the Durbanville Cultural Society, the Clay Museum, the Potter’s Shop, and the Gallery Café. There is also a tourist information centre based here.